To all of our past and current servicemen and women: thank you. We are forever grateful to you for the daily sacrifices you make for the protection of our country, our freedom, and for human dignity and the pursuit of freedom everywhere. This day marks the end of 'the war to end all wars' — Armistice Day — on which fighting in WWI ceased and hope rang eternal. We know that there have been many more wars since and sadly there likely will be many more in the future, but on this 95th anniversary of that fateful day, we remember with pride all those who serve and those who have made the ultimate sacrifice. Thank you, soldiers! 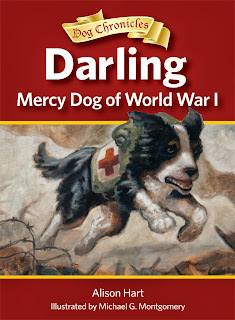 If you have young readers learning about World War I, check out Darling, Mercy Dog of WWI and our other Peachtree titles.